Thanksgiving is a perfectly balanced holiday. You put in time with your family, reflect on all you have, and the very next day reward yourself by taking part in a selfish, consumerist frenzy of acquisition, possibly causing physical and emotional harm to strangers and neighbors in major American retailers. Before you enter the fray, though, you should check out early deals at places like Amazon and Walmart, and definitely shop in a way that gets you free Whoppers. But eventually, it will be time to test your mettle in the capitalistic battle royale we call Black Friday, and it's important to have a game plan before you go in there. So, figure out you want ahead of time. Like TVs. 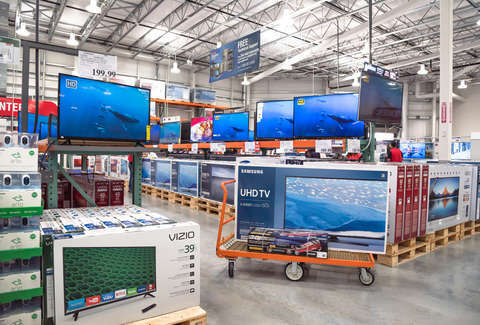 Luckily, we've gathered up all the best TV deals from the retailers you care about below. Good luck. Looking for more Black Friday deals? Check out the best sales at Walmart, Target, and GameStop as well as these cheap flight deals. Hungry from all the shopping? Don’t miss all the great free food and pizza deals running all day.